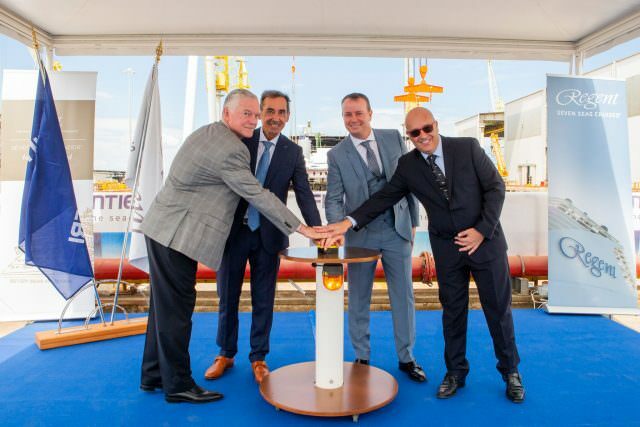 Regent Seven Seas’ Seven Seas Splendor’s keel laying ceremony took place last week at the Fincantieri shipyard in Ancona, Italy. 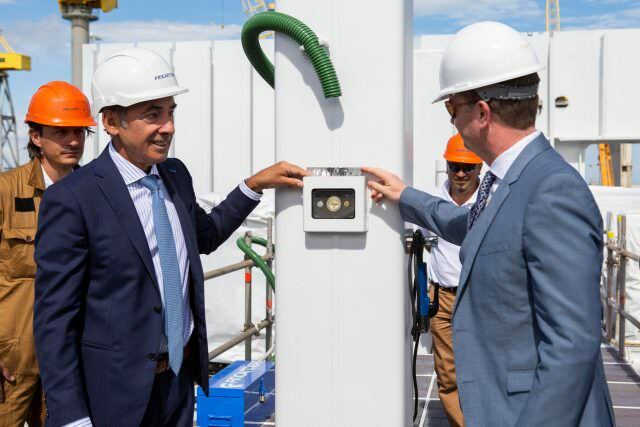 Jason Montague and Shipyard Director Giovanni Stecconi commemorated the occasion by placing three coins onto the keel of the ship. In shipbuilding tradition, the coins will remain embedded within the ship’s structure for its entire life, and will invite good fortune for all who sail aboard. Spanish Gold “Escudo” Coin from the 1700s, commemorating Seven Seas Splendor’s inaugural voyage on February 7, 2020, taking guests on a 14-night transatlantic journey from Barcelona, Spain to Miami. This Spanish Escudo will signify good luck on her first official voyage. Seven Seas Splendor is an all-suite, all-balcony ship, hosting up to 750 guests. Guests will enjoy public spaces as well as 375 suites ranging from the 307 square-foot Veranda Suite, to the 4,443 square-foot Regent Suite. With a private in-suite spa with steam room, a custom heated spa on a private balcony, and ceramic-heated lounge beds, the Regent Suite also comes with a butler and car and driver awaiting excursions in every port. Keel laying ceremony attendees toured full-size Concierge and Penthouse suite models at the Fincantieri shipyard, representing a majority of the suites on board Seven Seas Splendor. Upon opening reservations for Seven Seas Splendor’s first 10 voyages, Regent Seven Seas Cruises had the best single booking day in the company’s 26-year history. The company will move up the opening of Seven Seas Splendor’s 2020 inaugural European summer itineraries to July 12.